Today I am posting a card made w ith the Holiday Home stamp set made with non-traditional Christmas colors. My favorite non-traditional colors are pink and green. 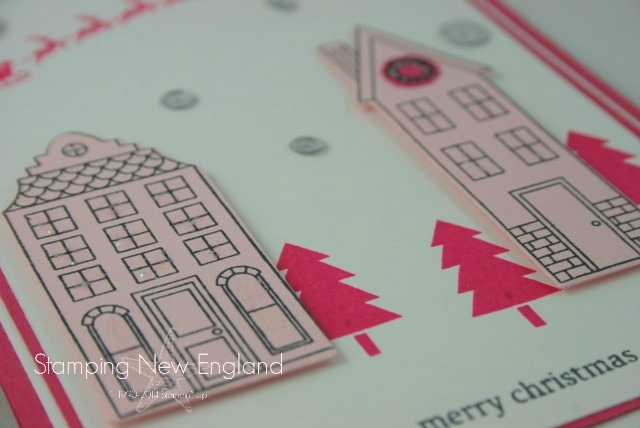 I love this card designed by one of my co-designers on the Stamping New England Design team. What is Stamping New England you may ask? 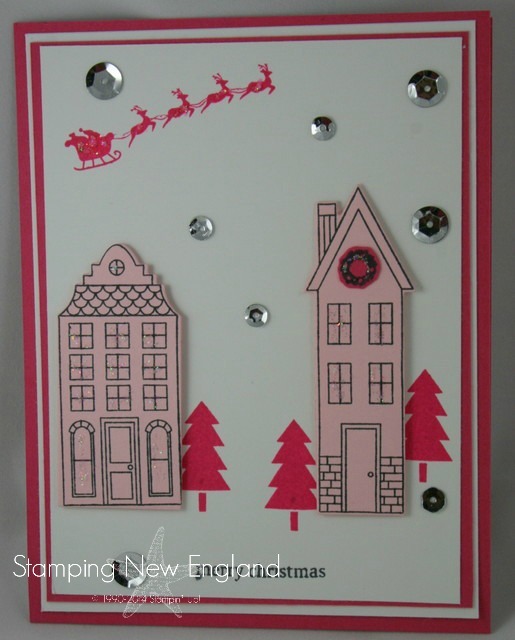 Stamping New England is a Design Team that I formed with 4 other very experienced Stampin’ Up! Demonstrators. We all have very different Stamping styles so design really unique project ideas using the same set of products. 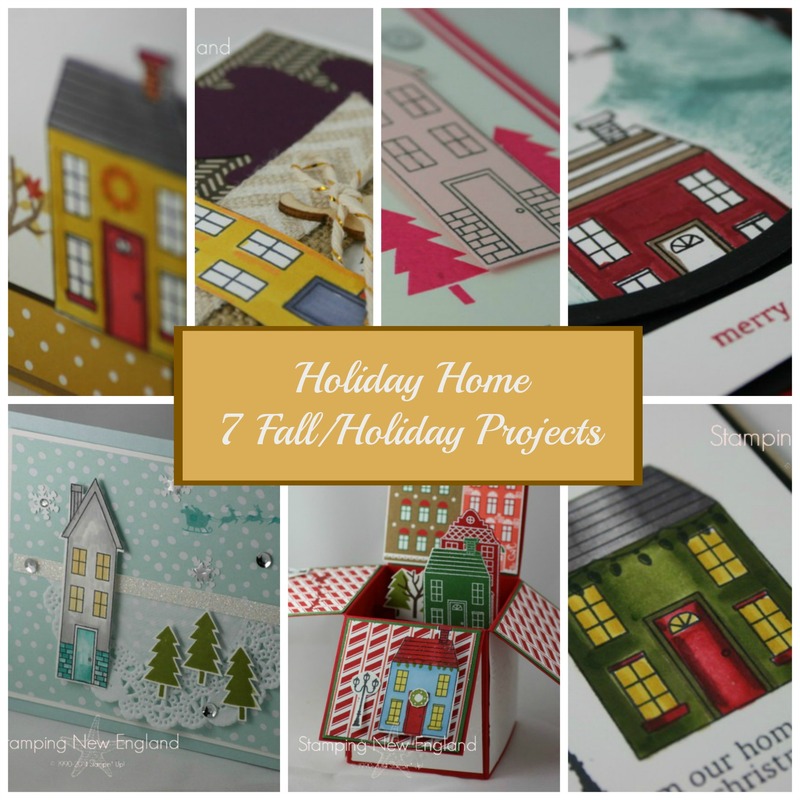 Here are the projects that we designed for Novem ber using the Holiday Home stamp set. So back to this card. This pink card was designed with the Holiday Home stamp set with Melon Mambo cardstock and ink. The houses are stamped on Pink Pirouette cardstock with Black Staz-on and cut out using the matching framelits for the Holiday Home set. A little Dazzling Details was painted onto the houses to add some sparkle. The sequins were added from the Frosted Sequins accessories package. So what are your favorite non-traditional colors for Christmas? Stampin' Up! Holiday Home. Bookmark.